Sockweb is a grindcore band from Richmond, Indiana which started gaining quite a bit of attention earlier this year when one of their tracks went viral. What makes Sockweb so interesting is that the band is run by a father and daughter combo. As if that wasn't cool enough, the daughter is only just 7 years old! The daughter, Joanie, creates all the lyrics and belts out all the vocals giving us all a bright idea of what the future of metal will be. I'm Adam. I play guitar and program for Sockweb. I play mindless powerchords really fast over blastbeats while my daughter screams about whats on her mind. It's a great bonding experience. And who doesn't love playing fast and angry music? 5. I understand that your daughter Joanie, is responsible for the name? What exactly is a Sockweb? I'm assuming it's a spiderweb made from socks. Everything about this project is very impromptu and random, so it works. 6. Not only did she name the band but is it true that she writes all the lyrics as well? What inspires her? Most 7 year olds can hardly write their homework let alone write songs. She does. Like I said, it's all impromptu. After I get the layout of the song done, she comes in and yells the first thing that comes to mind. She doesn't physically sit down and write them out, and I think it'd take away from the purity of the project if she did. From what I can tell, she's inspired by what happens on that particular day. One day she wants pancakes, the next she's pissed off at some girl at school for bullying her. 7. One would assume that you are the driving influence behind Joanie's love of metal, does she secretly rock out to Justin Beiber or One Direction, or is it a strictly metal household? To be honest, I don't even listen to metal that much. Of course, I do enjoy it, but I'm into music as a whole. At any given time, you could hear Michael McDonald playing, then Human Mincer right after that. Jo has a pretty varied music taste as well. She gets exposed to a lot of the top 40 garbage on the radio, as most children do, but she enjoys a bit of everything. 8. What are some other influences that help shape the sound of Sockweb, for yourself and your daughter? Sleep Terror is a huge influence. Agoraphobic Nosebleed, of course. Psyopus, too. Been pulling a lot of inspiration from Code Orange Kids recently as well. They're brilliant. As for Joan, she really digs Kat from AnB. She's expressed that she wants to do a track with her one day quite a few times. 9.Was being picked up by Monolith Records and releasing a full length your divine plan? Or was this a gimmick that simply went viral? Neither, really. I've been asking Joan to yell on one of my tracks for as long as she could talk. It just so happened that I had just finished a grind track (the instrumentation to I Want Pancakes) and she was into it. I didn't expect it to get as much attention as it recieved, but I'm thankful for it. It was a way to connect with my daughter on a musical level, and things just picked up from there. The guys from Monolithic we're into the idea of a full length, and Joan said she wanted to do one as well, so we went with it. 10. Sadly you have been receiving a fair share of hate to go with all of the love, how do you deal with the haters? I don't even pay attention to it. Some of the stuff said is pretty funny though. I personally don't understand why some people are so pissed about it though. We'd be doing this stuff anyway, regardless of the amount of exposure. 11. Do you fear that some of the things they say may be true? Ever worry about how this could impact negatively on your daughter? Not a bit. She's doing what she wants to do. It's a creative outlet for her, and I have no right as a father to deny her that. Also, she's in first grade, and last I checked, has no clue what LambGoat or MetalSucks is. 12. Due to her age, is their concern that the constant strain of screaming may effect the growth of her vocal cords? I get asked this a lot, and this is the perfect opportunity to clear it up. She doesn't scream all the time. Literally, what will be released has been the only time she has done any kind of vocals. We're not in the studio for 10 hours a day, 5 days a week. She comes down here, stands in front of the mic, and 10 minutes later, she's done. I'm also pay very close attention to how she's breathing, her technique, and how she sounds while screaming and after. If there were any sings of negative impact, I wouldn't allow her to do it. 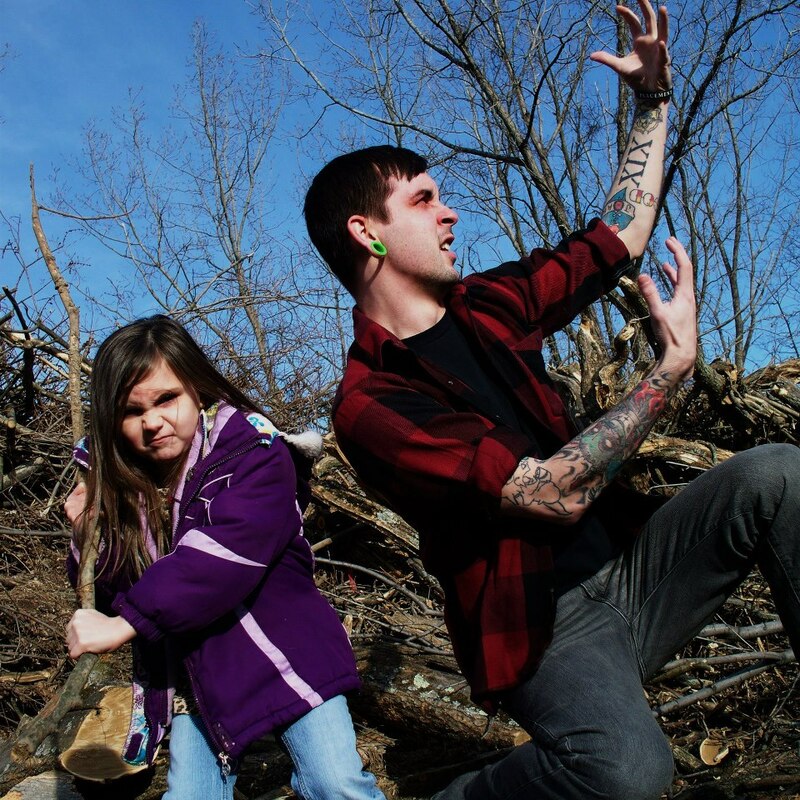 While we are in a grindcore band together, I'm still a father, and her well being comes first. 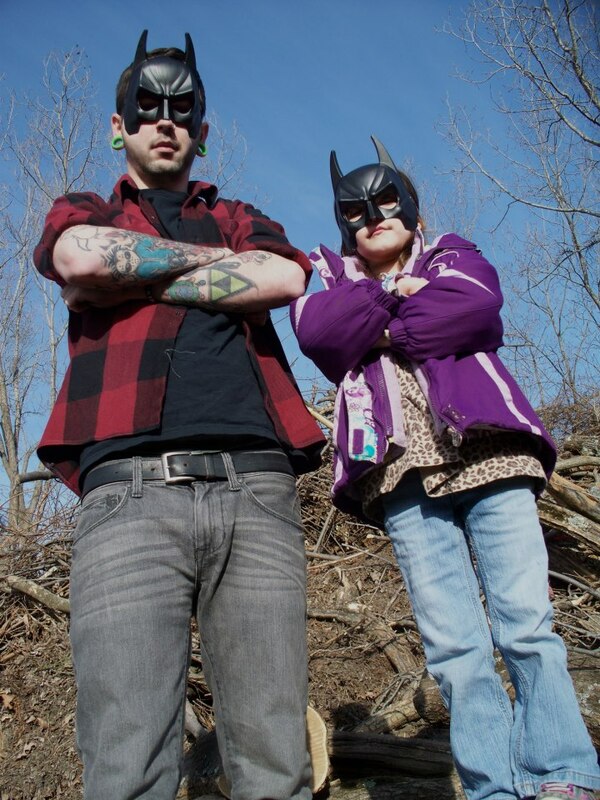 A Father first, Batman second. 13. Assuming nothing changes, I can't wait to hear the music Joanie will be dishing out when she is in her teens/young adulthood. Is this the ideal future you have in mind? What does the foreseeable future hold in store for you and her? Oh, absolutely. I'd love nothing more than to continue making music with her, whether it be grind, or something completely different. Nothing has been more rewarding than doing this with my daughter. It's a dream come true, and if we can continue doing it, I'll be stoked. Regardless, I'll be stoked. As for the foreseeable future, we have Werewolf coming out soon, and maybe a few treats here and there. As much as I'd love to take her out and tour in support of this album, she's just too young now. Maybe in a few years, though. 14. Piracy and file sharing, what is your opinion on it? I absolutely love it. It's a great promotional tool. While everyone complains about it taking money out of the artists pocket, I think the artist should quit bitching and be happy that kids are listening to his/her album. Musicians tend to forget why they started in the first place. 15. Imagine yourself trapped on a desert island, you only had enough room for 3 albums in your luggage. What three do you grab to have until the end of time? How about Joanie? As for Joan, she's in bed because she has school tomorrow morning. We'll have to get back to you on that! Well I really appreciate you taking the time to do this with me, and I do hope you like the interview. Any final words to all your fans out there? At the risk of sounding cliche, thanks for supporting us, and we hope you dig the album! Look for the full length 'Werewolf' coming soon.